Son of Jones Marshall Randall and Mattie Lois Watson, George Alman Randall was born on Feb. 8, 1920, in Lavonia (Franklin County), Georgia. During World War II, George Alman Randall served in the U.S. Marine Corps. On July 12, 1945, George Alman Randall married Edna M. Utterback in Hyattesville, Md. Edna M. Utterback was born on Apr. 16, 1925 in Hunnewell (Shelby County), Missouri. Pamela Sue Randall (born Dec. 9, 1956), who married Randy Shrake. They have two sons: Christopher and Michael Shrake. ROCK ISLAND - Private services for George A. Randall, Rock Island, will be Thursday at Wheelan Funeral Home, Rock Island. Entombment will be in Rock Island Memorial Park mausoleum. No visitation will be held. Mr. Randall died Tuesday, March 14, 2000, at Trinity Medical Center-West Campus, Rock Island. He had been an upholsterer. He worked 47 years at Holst-Kakert Co., Moline. He retired in 1998. He was born Feb. 8, 1920, in Lavonia, Ga., to J. Marshall and Mattie (Watson) Randall. He married Edna M. Utterback on July 12, 1945, in Hyattesville, Md. 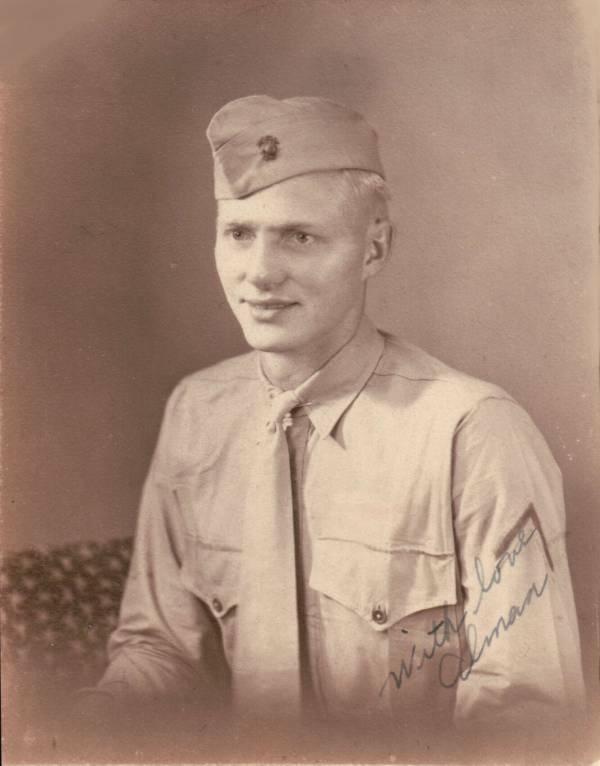 During World War II, he served in the Marine Corps. George was a member of First United Methodist Church, Rock Island, where he had served as head usher for 40 years. He enjoyed gardening. Memorials may be made to First United Methodist Church, Rock Island, or Quad-City Kidney Center. Survivors include his wife; a daughter and son-in-law, Pamela and Randy Shrake, Rock Island; grandsons, Christopher and Michael Shrake, Rock Island; sisters, Selma Shaver and Annie Payne, both of High Point, N.C.; and several nieces. He was preceded in death by his parents, five brothers and a sister. DAVENPORT — Edna M. Randall, 88, a resident of Bickford Cottage, Davenport, formerly of Rock Island, died Sunday, April 6, 2014, at Trinity Bettendorf. Funeral services will be 2 p.m. Wednesday at the Wheelan-Pressly Funeral Home, Rock Island. Entombment is in Memorial Park Mausoleum, Rock Island. Memorials may be made to the Alzheimer's Association. Edna was born on April 16, 1925, in Hunnewell, Mo., to Bridgewater Utterback and Ora Virginia Ayers Utterback. Her father died when she was a small girl. Her mother later remarried Fred Scouten. She lived with and was raised by her grandparents. After graduating high school, Edna left Hunnewell, moving to Washington, D.C., and working as a civilian for the Department of the Navy, and also worked for an insurance company. She met and married George A. Randall on July 12, 1945, in Hyattsville, Md. He preceded her in death, March 14, 2000. She worked for the Rock Island Argus in the circulation department, retiring when that function was moved from the RI Argus to the Dispatch in Moline. She loved her family and adored her grandchildren. She and her husband enjoyed traveling. They enjoyed country music, visiting Branson, Mo., to see the legends of country perform. She leaves behind a daughter, Pamela Shrake of Rock Island; grandsons (spouse), Christopher (Sarah) Shrake, Bettendorf, and Michael Shrake, Rock Island; sister-in-law, Clara Randall, Colfax, N.C.; and several nieces and nephews. She was preceded in death by her husband; parents; stepfather; sisters, Virginia Dooley, Vera McLain and Verna Thompson; brother, Duane Scouten; and son-in-law Randy Shrake. Edna's family wishes to offer a special thank you to the staff of Bickford Cottage for the loving and compassionate care given to Edna while in their care. Marker for George Alman Randall (Feb. 8, 1920 - March 14, 2000) and Edna M. Utterback Randall (April 16, 1925 - April 6, 2014).